Last month I traveled to New York City to cover the Creative Time Summit for H-Art Magazine (Belgium) and Newcity (Chicago). “Absentee City: Who and What is Missing in Our Cities and Our Art? 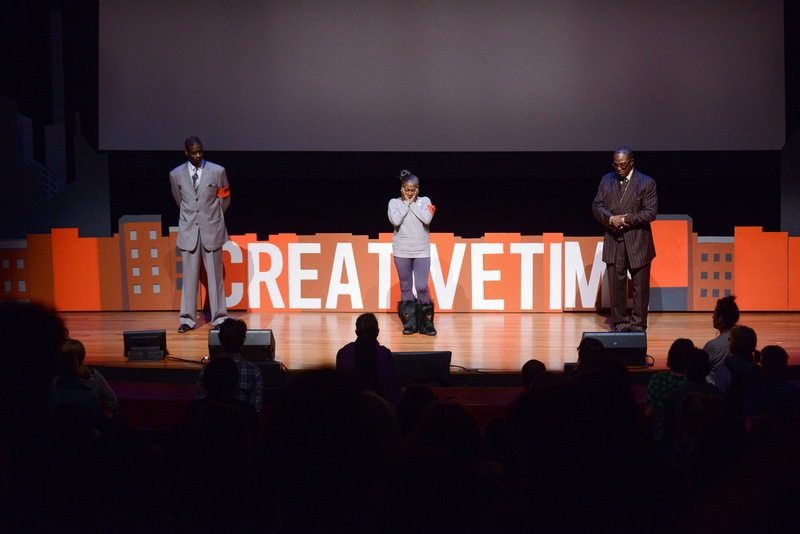 Reflections on the 2013 Creative Time Summit” will be out in H-Art at the end of December and the Newcity piece, “Legislative Art Takes to the Stage”, focused on Chicago-based artist Laurie Jo Reynolds and the Tamms Year Ten campaign was published a few weeks ago. A few weeks back I shared some of my reflections on the Chicago artists (Claire Pentecost, Lori Waxman, Michael Rakowitz and Theaster Gates) contributions to the summer 2012 exhibition Documenta13. I posted them under the name ‘Rematerialization of the Art Object” on the Bad At Sports blog in conjunction with a panel discussion happening between those Chicago artists and the curator of Documenta at the Block Museum at Northwestern University.While at one point I had hoped to turn the experience into an in-depth article, this occasion afforded me the opportunity to share some of my observations publicly in a more informal way. My review of “The Way of the Shovel: Art as Archaeology” curated by Dieter Roelstraete currently on view at Museum of Contemporary Art Chicago will be printed in Mouse Magazine #41 next week and is online here. And finally, my documentary exhibition project has a new tumblr blog Crisis Image Archives and (currently on view in Kansas City MO and Portland OR in different incarnations) was recently reviewed in The Pitch (Kansas City) and Newcity (Chicago). Never The Same (my collaboration with Rebecca Zorach and about 60 other awesome people) has been busy this year with our residency at the Gray Center for Arts and Inquiry and got a nice review for one of the performance events we developed with invited curators Extinct Entities. Look for new catalogs for the Unfurling project we did while in residence and the Athens Biennal (featuring an installation by Never The Same, covered in Latitudes blog from Barcelona) out early in the new year!